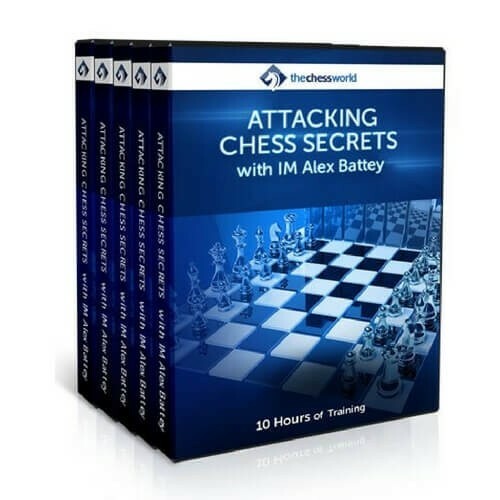 Ability to launch phenomenal attacks is the most sought-after skill in chess. And it’s easy to see why. A strong, well-executed attack usually WINS the game. Didn’t take into account all the possibilities? We all been programmed to think that if you lose that’s because you didn’t try hard enough. But of course, you did try your best. Doing the same thing over and over again any harder will not change the result. It will only make you exhausted, drained and mentally tired… but it won’t turn you into a great attacker. You DON’T need to be a chess genius or have a photographic memory to use those. You also don’t need to spend 8 hours a day on training. Once you get a hang of it, you’ll feel like the attacks are happening on an autopilot! The mating nets – done right. How to save your time and energy over the board while setting up the traps that will do the work for you! Exploiting the “Queenless Middlegames” misconceptions – most club players think that there is no play in those… Oh boy, you will prove them wrong! Thinking and Decision-Making. Attacking mindset is a defining characteristic of a strong attacker. You will learn the thought process and what’s happening behind the scenes during a successful attack.